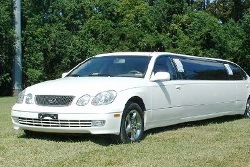 Many people mistakenly think that a limo's a limo. 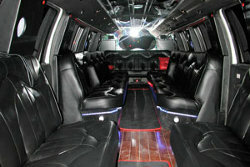 However, limos have personalities and the style of limo you choose depends on what you're looking for. Whether you're out to have a wild night, taking that big walk down the aisle, or transporting your most important clients around the city, you'll find a limo to your liking at NY Limousines. This 30-passenger beast is the official heavyweight champion when it comes to limousines! A virtual club on wheels, the Mammoth F-650 features locomotive air horns, a digital dance floor, a killer sound system, club-quality lighting, and a whopping six plasma televisions. Only three Mammoth F-650s exist in the United States, and we're the only company in the area that has one. When you want to enjoy the night in a big way, you have to book the "Hummer Killer"!!! 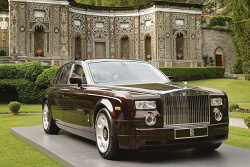 The Rolls Royce Phantom is the ultimate in vehicular luxury. Everything about the Phantom exudes sleek, smoothness. From the quiet V-12 engine to the buttery leather interior, the Phantom is the ride of sophisticates. A classic car with contemporary amenities, the Rolls Royce Phantom is right for every important occasion. If it's good enough for James Bond, is it good enough for you? 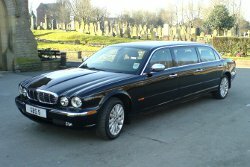 The classic styling of the Jaguar Limousine exudes elegance and class in a way that only the Brits can do it. The plush leather seating, fiber optic lighting, surround sound system, and flat screen televisions are just the beginning. When you cruise around NYC in this classic beauty, you'll feel like you're on top of the world. Classic meets contemporary in the classic Lexus GS400. In just seconds, this sleek limo can go from zero to 60 mph, although you'll likely want to make your ride last forever once you settle in to the comfortable, sumptuous seating. Top of the line sound systems, light shows, flat screen televisions, wet bars, and room for 10, this limo has everything you need to enjoy the sights of NYC from the lap of luxury.